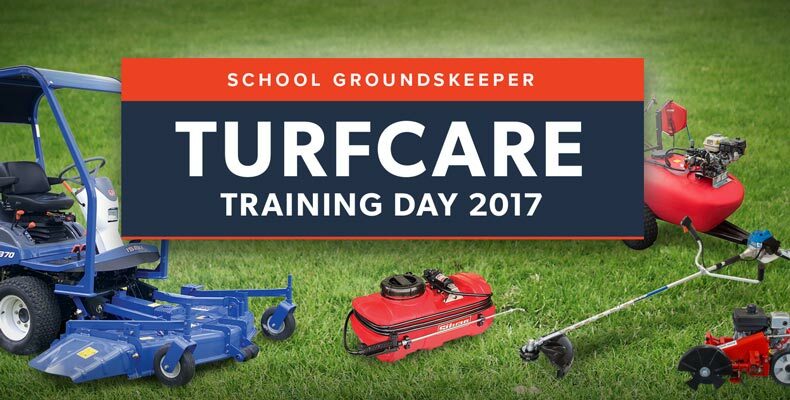 – KC Equipment, sponsors of the Sports Turf Association of QLD, will soon be holding a unique training event for the professional development of school groundskeepers. Russell Bryson, director of KC Equipment, hopes that groundskeepers across south-east Queensland will get on-board with the endeavour. This is a free event, with lunch and drinks provided. The event is being hosted at the KC Equipment branch, at 4 Kaycee Place, Yatala, from 8am – 2pm. If you’re a professional groundskeeper or contractor and would like to attend, then please contact Cheree at our Yatala branch on 07 3297 3000, or RSVP using the button below. Update 16/10/17: RSVPs for this event have now closed. Thank you to everyone who will be attending. KC Equipment services the Agricultural, Golf, Sports, Construction, Commercial and Residential grounds care industries with a huge range of equipment from the world’s leading manufacturers, including Massey Ferguson, Iseki, Kubota, and Jacobson. With over thirty years of experience, branches in Yatala, Lismore and Murwillumbah, and a huge parts and supplier network, KC Equipment can assist you with all aspects of your operation. KC Equipment – for everything in your shed.